Delta is clearing a path for its current employees and a diverse swath of young aviators to become pilots through a new program aimed at filling thousands of future voids inside the cockpit. Delta Air Lines Inc. launched its Delta Propel Pilot Career Path Program, which includes a three-pronged approach at developing the next generation of flyers. With many pilots approaching mandatory retirement age Delta said it expects to hire more than 8,000 pilots over the next decade. The Propel program supplements the airline’s current recruiting structure, which includes recruiting and hiring pilots currently flying in the airline, military and corporate sectors. Delta conducted several years of research to create a pilot outreach and pathway program that will inspire and attract the next generations of high-quality talent, said Steve Dickson, Senior Vice President – Flight Operations, in a news release. As a global industry leader, we are taking a holistic approach to expanding the opportunities available to aspiring pilots. We listened to feedback from students, parents, faculty, administrators and Delta employees to help overcome barriers for potential pilot candidates such as career path uncertainty and the Certificated Flight Instructor shortage. Delta is initially partnering with eight universities with accredited aviation programs, including Middle Georgia State to interview collegiate aviation students. The internal career path is a highly selective program that provides current Delta employees an unpaid leave of absence opportunity to attend flight school. Applications for the program will start being accepted in August. Delta detailed an estimated 42-month timeline that would direct students and employees to piloting mainline aircraft. Delta is also looking for aspiring pilots, including engagement with kindergarten through high school students. Among Delta's partnerships are: Conyers Middle School – Center for Technology and Engineering, National Gay Pilots Association, National Flight Academy, Organization of Black Aerospace Professionals and Women in Aviation International. Delta's more than 13,000 pilots are thinning because of the federally mandated retirement age of 65, or leaving for other companies. Meanwhile, The Boeing Co. estimates a global need for 637,000 new pilots by 2036, 18 percent of which are in North America. The Bureau of Labor of Statistics listed the median pilot salary in May at $78,740. Delta Air Lines is asking flight attendants, ticket agents and other employees to consider taking a seat at the cockpit controls. Concerned about a shortage of pilots, the second-largest U.S. airline is offering its workers the chance to take an unpaid leave of absence to attend flight school. On the other end a job flying a Delta jet. 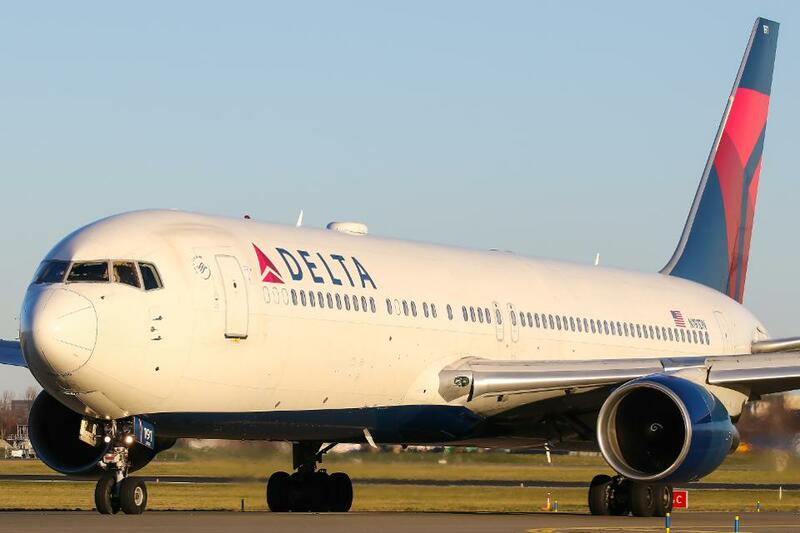 Delta estimates it will need to hire more than 8,000 pilots over the next decade, as its ranks of more than 13,000 pilots thin due to the federally mandated retirement age of 65, or leave for other companies. The initiative is part of a broader program Delta unveiled on Tuesday that also includes conditional job offers for certain college students. Pilots are aging while air travel demand grows globally. The high cost of training and low starting salaries are hurdles to the field. Boeing, the world's largest airplane manufacturer, estimates a global need for 637,000 new pilots by 2036, 18 percent of them in North America. Fight school doesn't come cheap. ATP Flight School, one of the schools Delta is encouraging its internal applicants to attend, costs about $80,000 for someone with zero flying experience. Students also have to train longer than they used to. After the 2009 crash of a Colgan Air plane due to pilot error, the Federal Aviation Administration five years ago raised the minimum number of hours of flight experience to become a passenger airline pilot to 1,500 from 250. Delta declined to disclose pilot pay, but the median pilot salary in May was $78,740, according to the Bureau of Labor Statistics. The Air Line Pilots Association, the union that represents Delta, United and several other airlines' pilots, said pay at regional carriers, which offer a hiring pool for big commercial airlines, can be less than half that amount. Captains at major airlines can make more than $100,000. If you pay them, they will come, Roger Phillips, an ALPA spokesman, said about hiring new pilots. Other airlines are pursuing their own programs to recruit pilots. American Airlines earlier this year started offering loans for student pilots. The Delta Propel Pilot Career Path Program, which works with both students and employees who have an interest in flying, aims to make that path more attractive, the company said in announcing the program. The airline is accepting applications in August from students at eight universities with an accredited aviation program, including Auburn University, Embry-Riddle Aeronautical University and the University of North Dakota. Students can continue their benefits with Delta as long as they pay a share of the costs. The company declined to detail the costs. Delta estimates they can get a job with the airline within 42 months after flying for the airline's private jet arm, instructing other students, flying for Delta's regional partners or flying military aircraft. For its employees in the program, Delta said they would work for up to 42 months at a Delta regional airline, which pays less and flies shorter routes, before coming back to work for the mainline operation. Both employees and students will be paired with an active Delta pilot as a mentor. The airline, which said it developed the recruiting program over several years, is also working with professional associations such as the Organization of Black Aerospace Professionals, Women in Aviation International, the National Intercollegiate Flying Association and the National Gay Pilots Association to encourage students through high school age to pursue a career in aviation.